Sydney University has changed their decision to cancel Dalai Lama guest speech. The University of Sydney, one of Australia’s top institutions of higher learning, has reversed a decision taken earlier this month to cancel a talk by Tibetan spiritual leader the Dalai Lama, and will now allow the exiled religious figure to speak. Fear of angering China, which regards the Dalai Lama as a dangerous separatist, or “splittist,” was widely believed to have been behind the university’s earlier decision to cancel the talk. The university’s Institute for Democracy and Human Rights (IDHR) will now host an “on-campus lecture” by the Dalai Lama for students at the University of Sydney in mid-June, Professor John Keane, IDHR director, said in a statement. 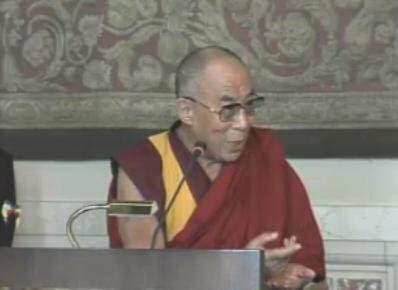 The Dalai Lama will visit Australia from June 14-23,  and is scheduled to give talks and religious teachings in Sydney, Melbourne, Adelaide, and Darwin. “The University of Sydney and IDHR remain firmly committed to the principle that academics are free to invite to our campus anyone who has a legitimate contribution to make to public debate,” Keane said in announcing the spiritual leader’s newly scheduled appearance at the university. Australia’s national public broadcaster ABC News reported last week that it had obtained copies of an e-mail exchange between the IDHR head and the university’s vice chancellor confirming the initial decision to cancel the Dalai Lama’s originally scheduled talk. The vice chancellor’s reply exuded a sense of relief, according to ABC, saying the university has close ties with China. “A big lesson for all universities to remember: propaganda is cheap, academic freedom is priceless,” SFT said.